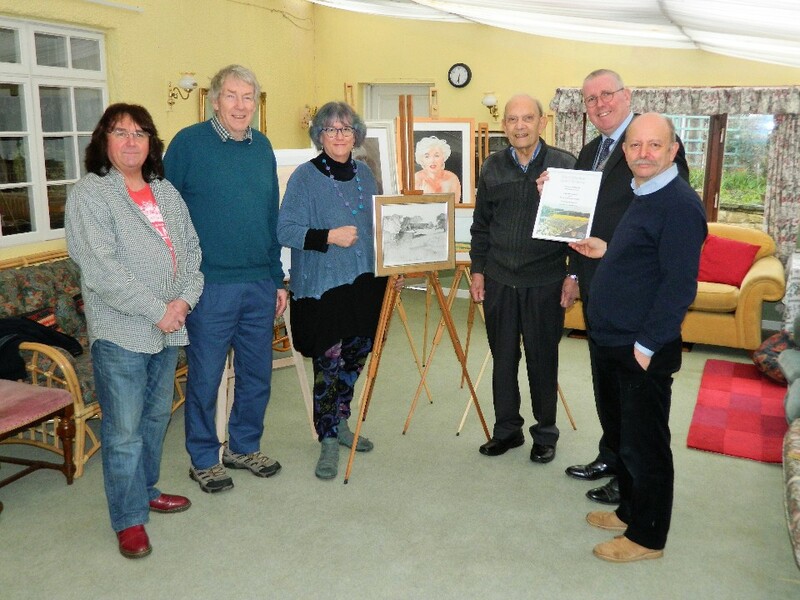 Cllr Dr Peter Moseley has given Rippingale Art Group £200 to broaden their range and improve their prowess through new equipment and coaching. He said: "One of the great things about this district is the range of hobbies and interests people can become involved with and I'm pleased to be able to support such a flourishing group of artists. "The pleasing thing about the Rippingale group is that if you are new to art or are uncertain which medium is best for you, the members in this friendly club are more than happy to offer advice." The group meets each Tuesday evening in the village hall where members can paint or draw in pencil, ink, acrylics, watercolour - or whatever the artists fancy. It has a mix of abilities and the friendly group ensures everyone can relax and enjoy their hobby. Organiser Phil Rippingale said: "We cover regular fees through subs but this additional money will be used to buy art materials so that people can try out different mediums without having to buy the equipment for themselves. Art materials are expensive, so this will enable people to try pastels, for example, which are not expensive in themselves, but requires costly paper. "We would also like to introduce a training element this year. Visiting artists could put on one-day courses that produce a particular drawing or painting style or show the audience a particular medium. You can learn an awful lot in a short space of time." For media enquiries:Email the SKDC communications team at pr@southkesteven.gov.uk or call 01476 406498 or 406440.